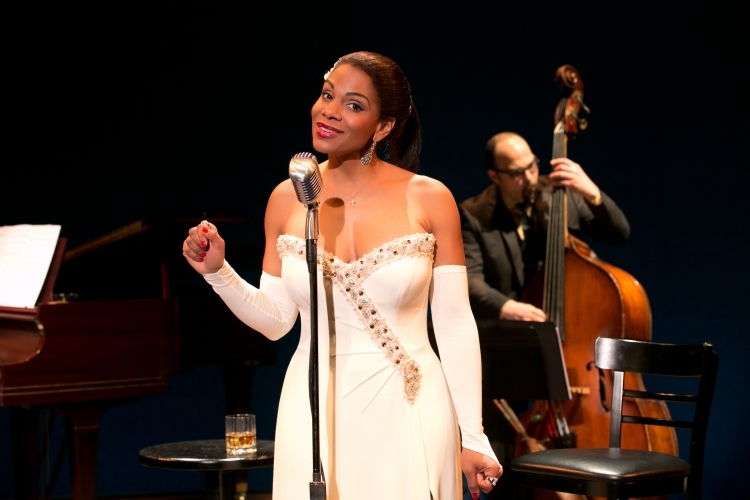 Channeling the great jazz singer, five-time Tony Award winner McDonald creates yet another award-worthy performance that basically has to be experienced live to be fully appreciated. Looking luminously and voluptuously beautiful, McDonald still manages to project an inner decay that steeps through to her raspy voice and huddled frame. Transformed into a remarkably polished setting, the Circle in the Square gleams as a 1959 Philadelphia nightspot, with warm art deco lighting, smoking jazz trio charming supper club tables and chairs. Wrap-around 2700 seating of only ten rows means that there is basically not a bad seat in the house. James Noone’s design also includes photos and musical instruments that magically appear behind the rear scrim at certain points of the narrative. Lighting by Robert Wierzel adds significantly to the nostalgic atmosphere, making select featured use of three mirror balls, which cast their spinning reflections on the whole house. 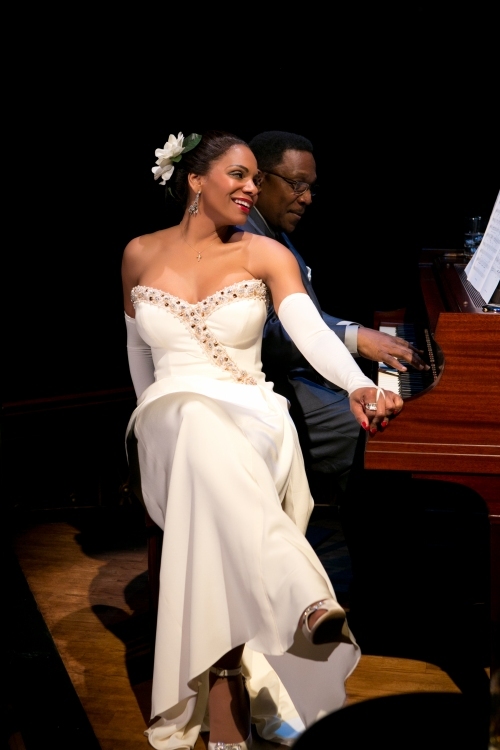 Esosa has crafted a single gorgeous gown for McDonald to wear throughout the performance. Pristine white with glittering diamante trim, the outfit features in the story to the extent that a disheveled glove implies what Holiday has been up to during an offstage break. 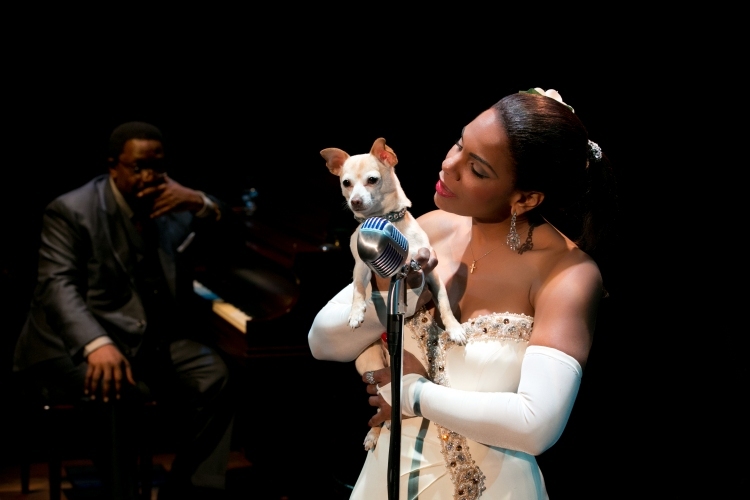 Returning with McDonald after the break is dear little Roxie as Holiday’s beloved chihuahua Pepi. Lanie Robertson’s carefully researched script is sympathetic to Holiday and her talents. There may be more exposition than Holiday would have actually broached in a concert four months before her death, but under Lonny Price’s deft direction, the discourse flows with a natural rhythm. The entrenched racism faced by Holiday is rightly shocking; her resolute determination to pursue her love of singing shines through as the driving force of her life. Such is McDonald’s commitment to the role, the audience are readily absorbed in her performance, to the point that it is very easy to imagine we are actually watching Holiday herself randomly flit from anecdote to anecdote. McDonald subtly shows the effect of alcohol consumed during the performance, and concludes with the devastating effects of a dose of heroin. Despite the character voice adopted for the show, McDonald’s supreme musicality and vocal expression shine through. Conductor/pianist Shelton Becton also plays Holiday’s latest musical director Jimmy Powers, giving a warm, endearing performance in the role. At a time of Disney and popular movie adaptations on Broadway, Lady Day at Emerson’s Bar & Grill is that once-in-a-blue-moon entertainment that is distinctly adult-orientated. Little knowledge of Holiday is needed to enjoy the play. In the perfect marriage of talent and content, the show gives McDonald a glorious chance to shine and gives the grateful audience the chance to bask in her glow. 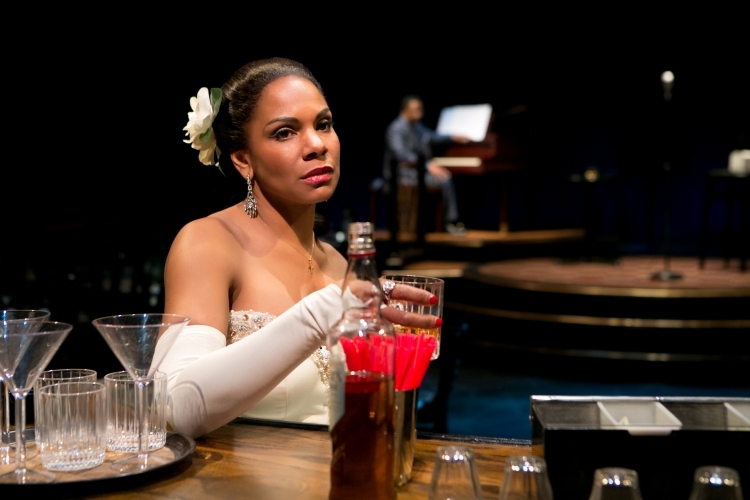 Lady Day at Emerson’s Bar & Grill was reviewed 2pm 19 April 2014 Circle in the Square, New York, where it has a limited engagement to 10 August 2014. 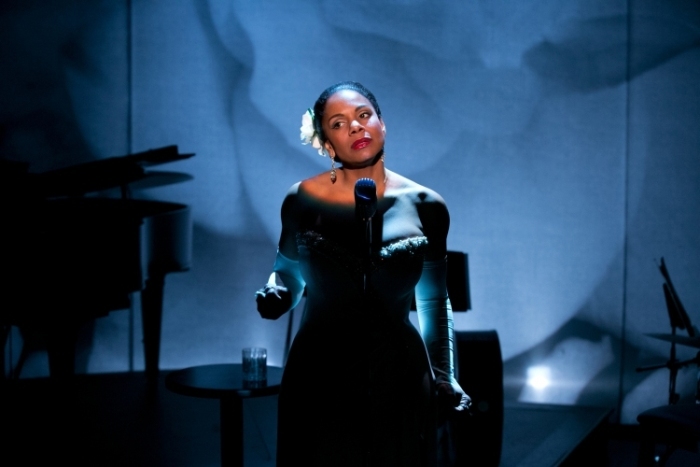 Lady Day at Emerson’s Bar & Grill plays at Wyndham’s Theatre, London 25 June – 3 September 2016.